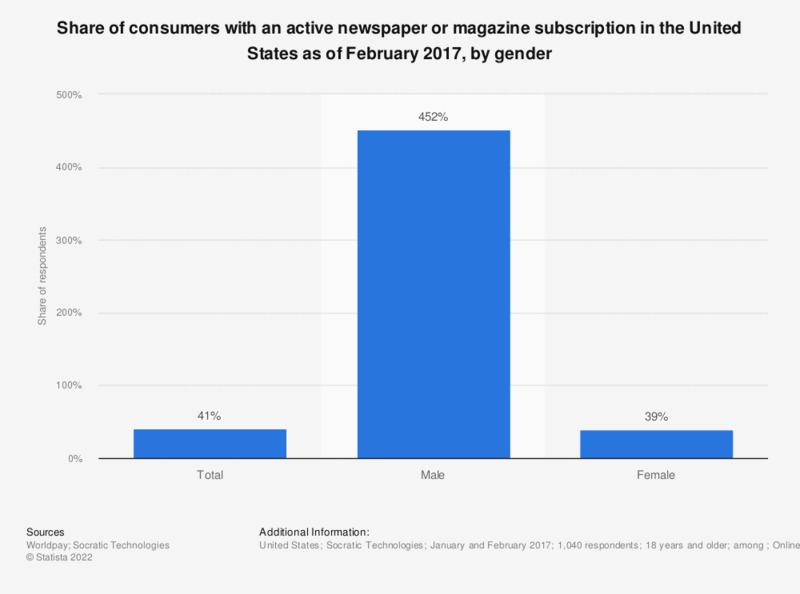 This statistic provides information on the share of consumers with an active newspaper or magazine subscription in the United States as of January 2017, sorted by gender. According to the source, 42 percent of males who subscribe to service subscriptions had a newspaper or magazine subscription as of January 2017. Have you bought (paid for) a printed newspaper in the last week?